Public Relations is the art and science of an organization cultivating its relationship with its target audiences. Therefore, what’s referred to as the “Buyer Persona” may be one of the most valuable tools that a marketing department can provide to inform a PR campaign. A “persona” put simply is a representation of your ideal customer based on research and your knowledge of them. In practice, the persona helps to focus decisions by keeping marketing efforts focused on the customer, and constantly considering their motivations and decision-making process. In media relations and development of messaging and content, sometimes it’s difficult to see the trees through the forest. Persona’s help to maintain that focus, and also to avoid something that naturally takes place in almost every situation involving human beings: the tendency to assume that others think like you. You could go so far as saying that this “false-consensus effect” is people’s default state, and you can see how that might be problematic for building a marketing program. Persona building is a discipline that, done right, forces us out of this state. 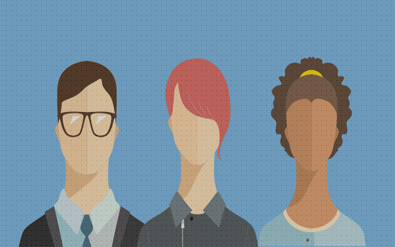 In creating a persona we can start by asking: what types of people are we selling to and what do we know about them? It’s really not rocket science, and starts with gathering some general information. First, start by describing them, and what motivates them. Try to balance this with both quantitative and qualitative data. You can look first for information that might already be out there–look at opinion surveys from competitors, data that might have already be have been published by research firms, etc., and then fill in the gaps with your own research. When conducting surveys, ask both closed and open-ended questions which, together, will start to give you a picture of the customer. The balance between the two is important, because relying too much on quantitative data will tend to cause you to overgeneralize, while qualitative information (such as the open-ended questions at the end of a survey) may cause you to focus too much on what one or two people might be saying which may not be important to your audiences at large. You can also supplement qualitative data by surveying the literature surrounding your industry that the audience reads. Are there opinion pieces by thought leaders in your target audience? If so, how do they compare to what your audience is directly telling you through surveys? As you dive into this information, be sure that you emerge with an idea of the roles, goals, and challenges that your target audience members are facing. Once you understand where they’ve come from, take stock of where they are now. What kind of job do they have or role do they play, and what are their responsibilities? What kinds of challenges are common? How are they currently inclined to go about taming those responsibilities and meeting those challenges? In consumer PR, this might include an understanding of shopping preferences. This information helps understand how to most effectively communicate how we can improve their lives. Additionally, supplement this with demographics: what information can you gather about your typical target customer that helps you draw conclusions? Are there generational elements to consider? Cultural? Are there personality types that tend to gravitate toward their profession? Are there environments, living conditions etc. that they have in common? Do they represent a major user group? Do they represent more than just wishful thinking? Do you get a clear picture of their motives? Do they include a good balance of what you found in your research, and what you know from experience? While there’s no set number of personas you should have–it really depends on the product or service you are providing–don’t have too many of them. Developing personas is a process of abstracting, or creating generalizations that tell us a truth, without overgeneralizing. In the interest of accuracy, you may be tempted to have a ton of different personas, but this is problematic because then it becomes impossible to communicate with them at scale. So, as a final exercise, try to consolidate them according to similarity. And finally, remember, personas are most effective when they tell a story. So give each persona a fictional name, quote, and provide a picture.